It's been a while our friends! How are you doing? 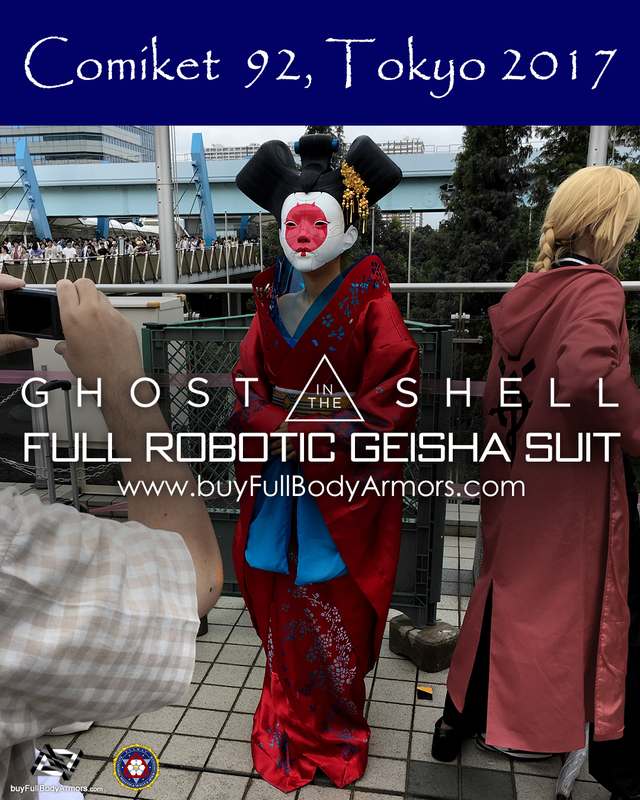 We were in Comiket 92 (2017 Summer), Big Sight, Tokyo last week. 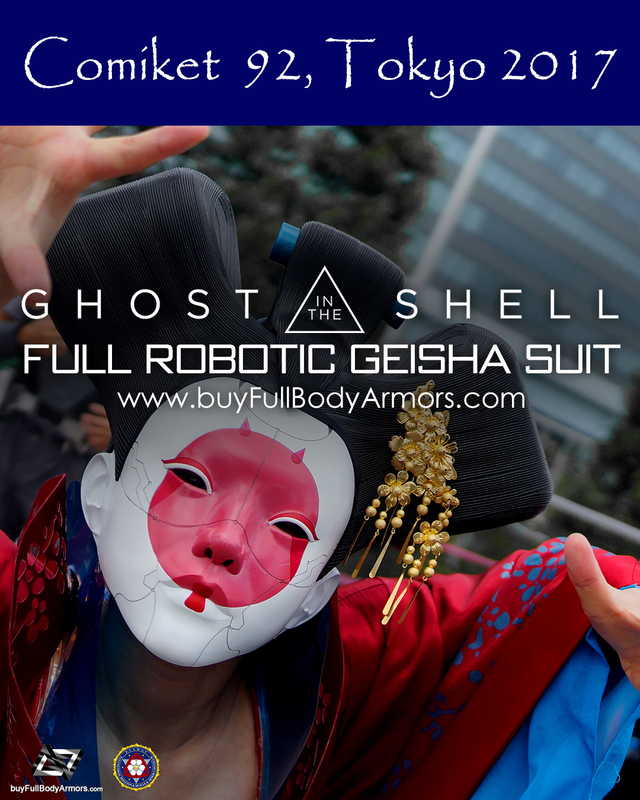 We brought several armor costumes there and had a very happy time! 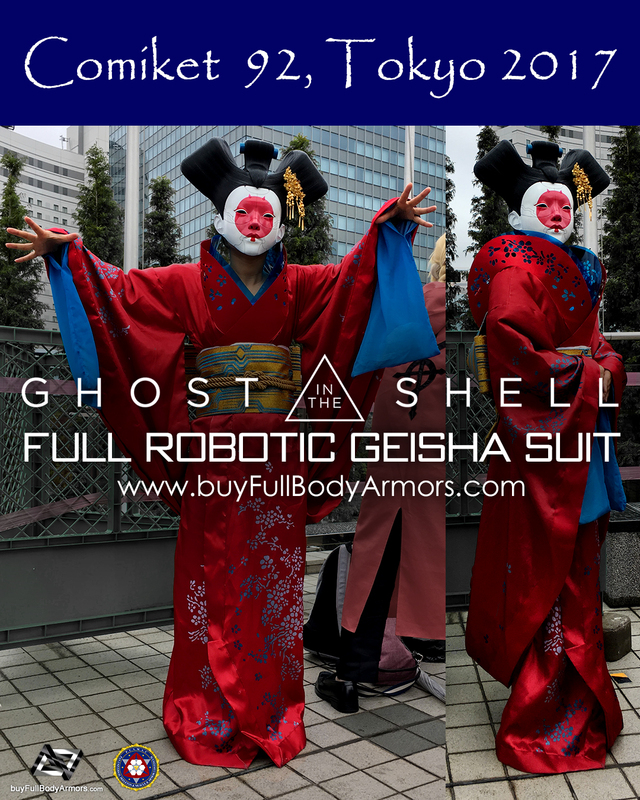 Such a fun to cosplay! 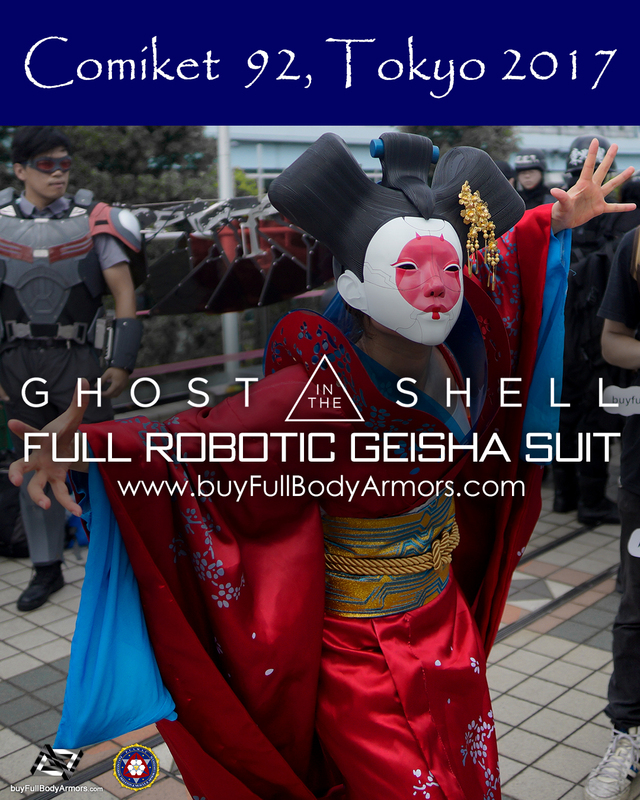 Firstly, it is the wearable Robotic Geisha full suit from the movie Ghost in the Shell 2017. Undoubtedly, Japan is the best place in the world to announce her first show! Pre-order will start in 5 days! Stay tuned! 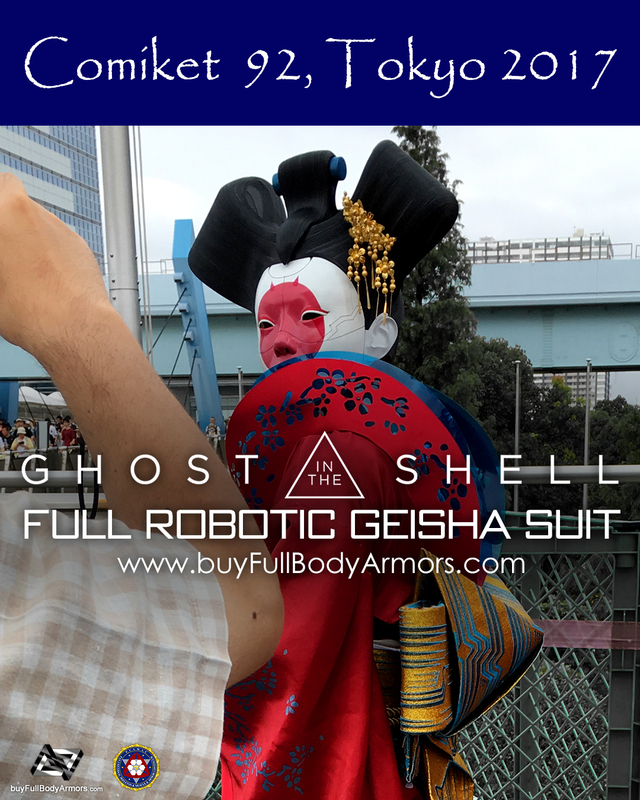 This entry was posted in News,Ghost in the Shell Movie 2017 Wearable Robotic Geisha Costume Suit R&D Milestones,Ghost in the Shell Movie 2017 Wearable Robotic Geisha Costume Suit R&D Full History and tagged on Aug 16,2017.